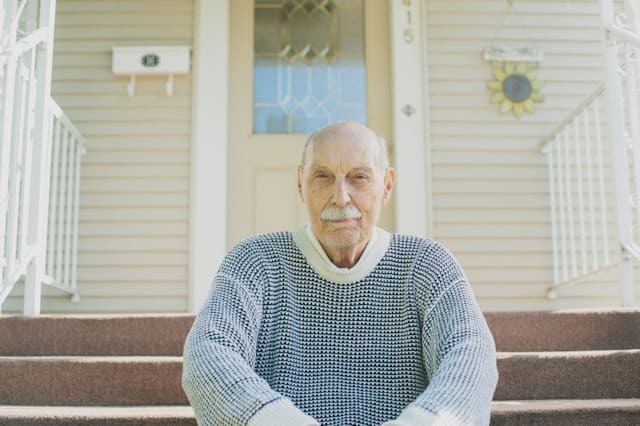 Scott Schaefer: Army veteran Richard Kuri, 81, used his VA loan benefits to purchase a home this summer with $0 down. These loans also tend to be more forgiving when it comes to things like credit score benchmarks or a previous foreclosure or bankruptcy. It is, after all, a benefit program. But it’s also a powerful loan product in the marketplace. The no-down payment benefit allows qualified borrowers to purchase up to $417,000 in most parts of the country before having to factor in a down payment. That ceiling can be significantly higher in costlier areas. Unlike FHA loans, VA financing doesn’t carry any recurring mortgage insurance. The annual mortgage insurance premium for FHA loans has made that government-backed option increasingly expensive. On a typical $200,000 mortgage, FHA buyers will pay about $200 more per month because of that premium. Conventional buyers who can’t put down at least 20 percent of the purchase price have to contend with private mortgage insurance. VA loans do come with an upfront fee that most buyers finance. Veterans with a disability rating of 10 percent or higher are exempt. Not for Every Veteran: These loans also have their limitations. Veterans wanting to purchase a vacation home or purely investment property will need to look elsewhere. Fixer-uppers can also be tough given the VA’s minimum property requirements. Some sellers and listing agents remain skeptical of VA offers. A relative few won’t even accept them. Much of the resistance is rooted in lingering misconceptions about the program. For veterans and service members, just knowing VA loans are an option is critical. Being able to compare rates, costs and terms across different loan types helps ensure buyers get the most from their dollar. A VA loan isn’t going to be right for every veteran. Buyers with great credit and enough cash on hand to put down 20 percent will want to take a long, hard look at conventional loans. But that relatively rosy financial picture isn’t the norm for many veterans and military families. That’s a big reason why the VA loan program is just as important today as it was in 1944, if not more so. Veterans Administration, Lenders and Non-Profits Mobilze To Help Vetrans On The Home Front! ← RE/MAX Evolution Open Houses This Weekend – Stop by and Visit Us! !